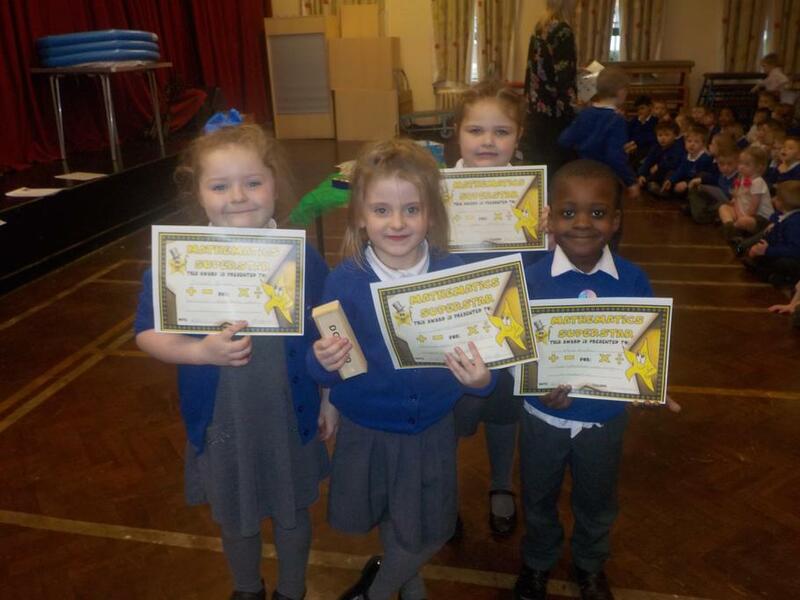 Every Friday, at St. Christopher's, we have two weekly awards assemblies - one for foundation stage and Key Stage One and the other for Key Stage Two. 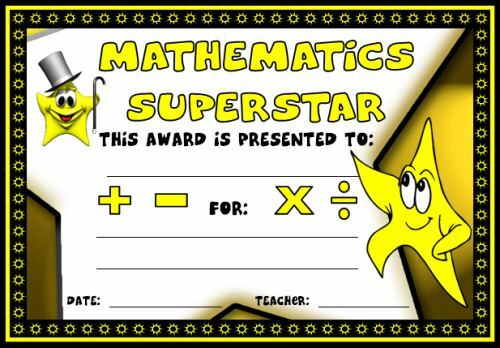 During these assemblies, one child from each class is presented with a maths superstar of the week certificate and sticker. 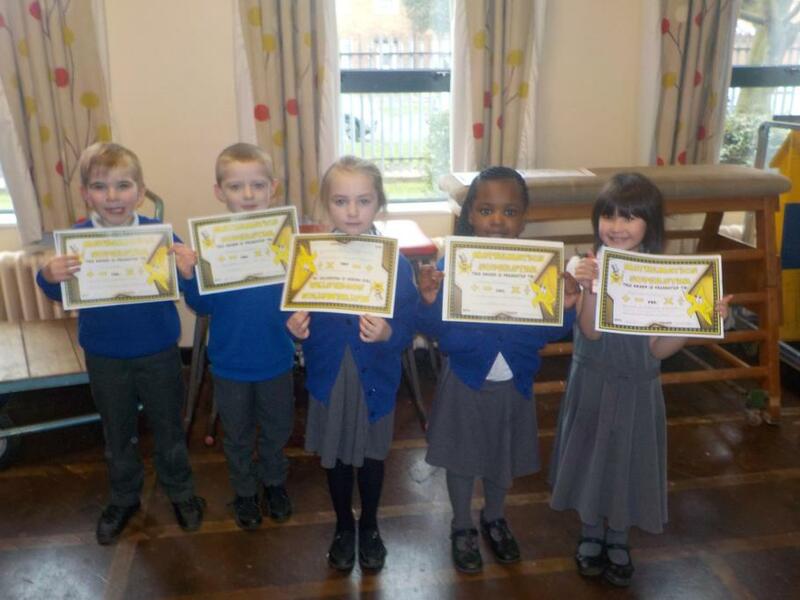 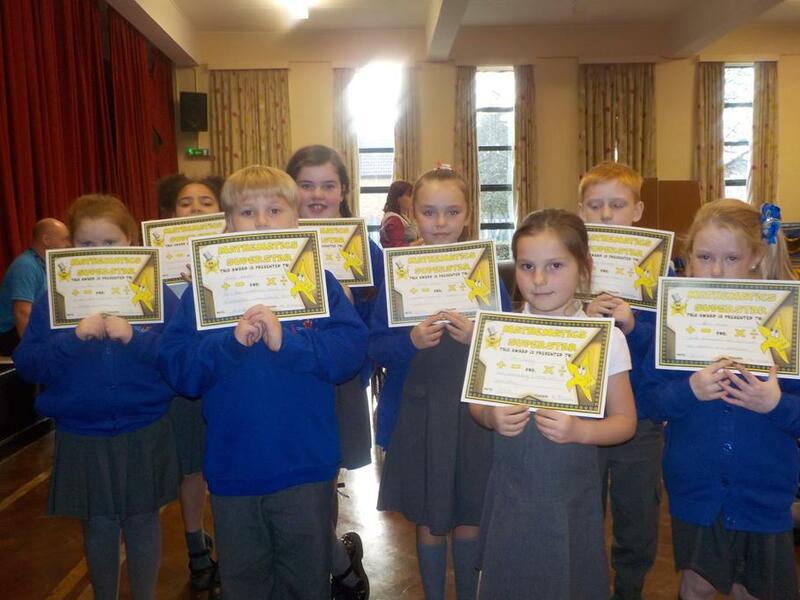 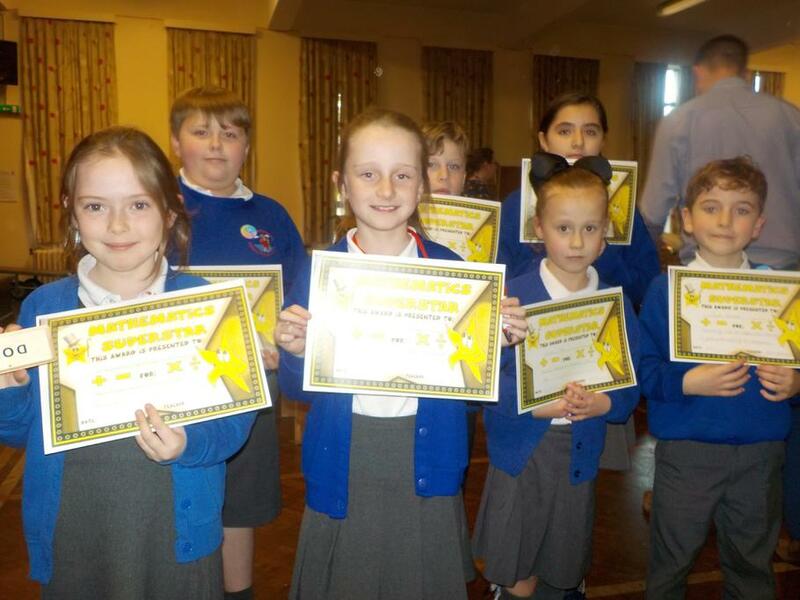 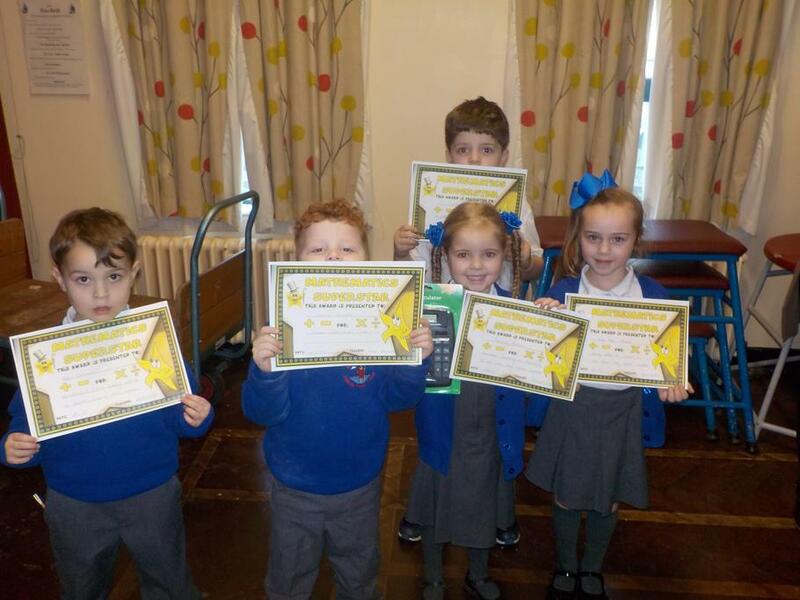 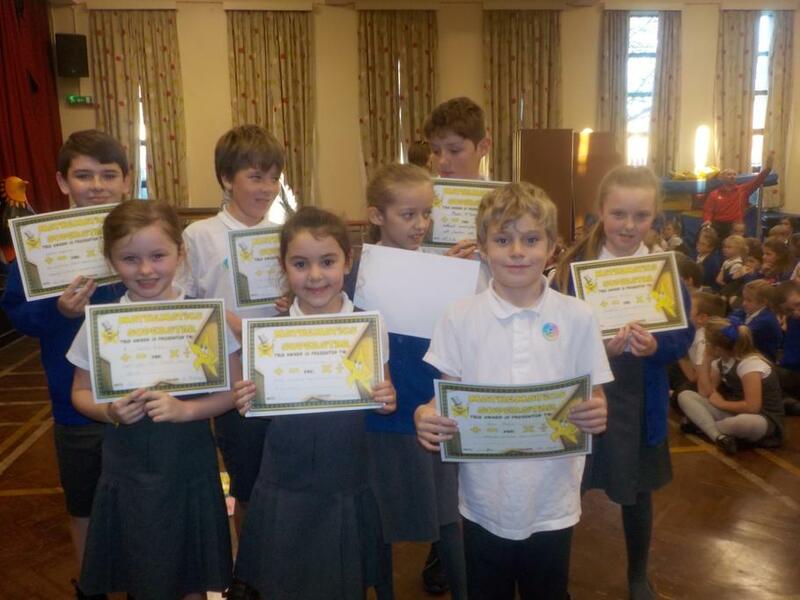 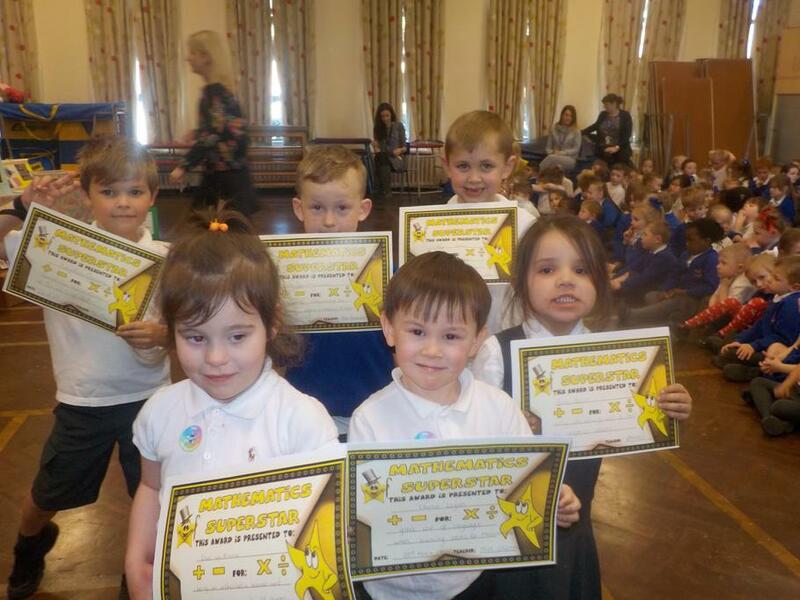 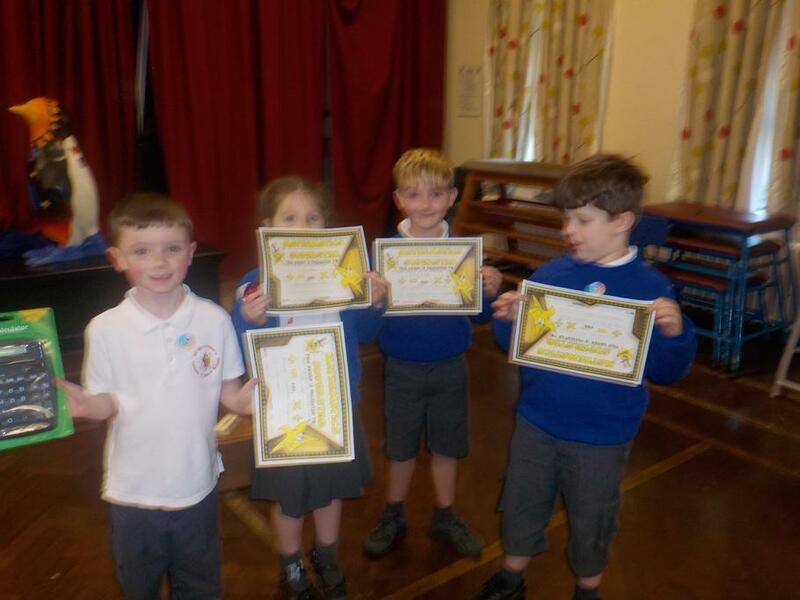 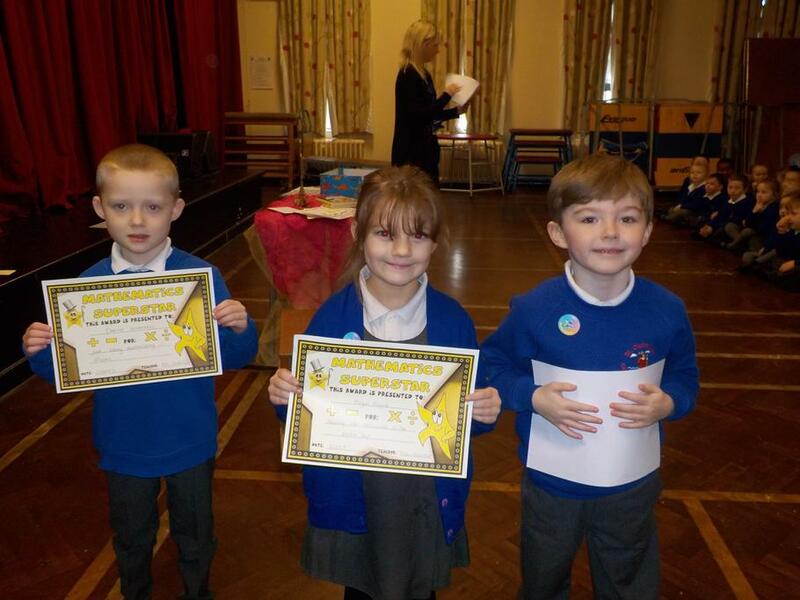 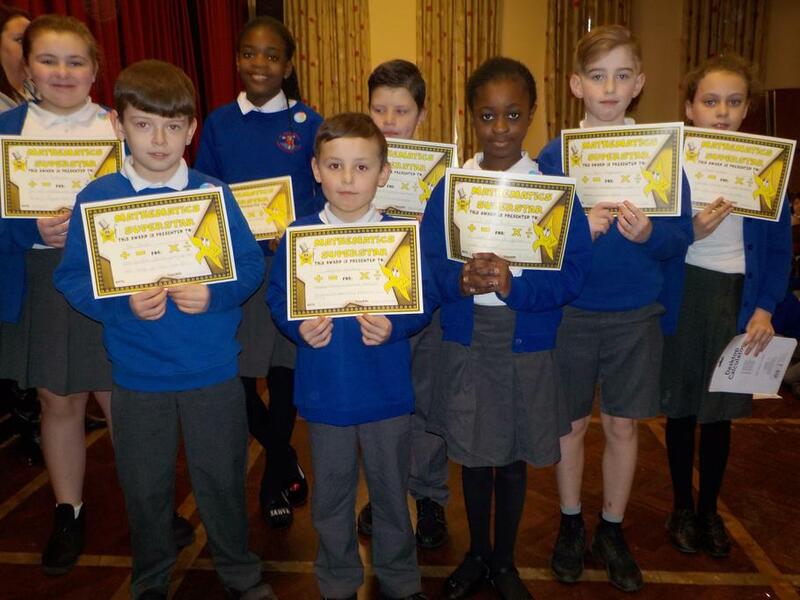 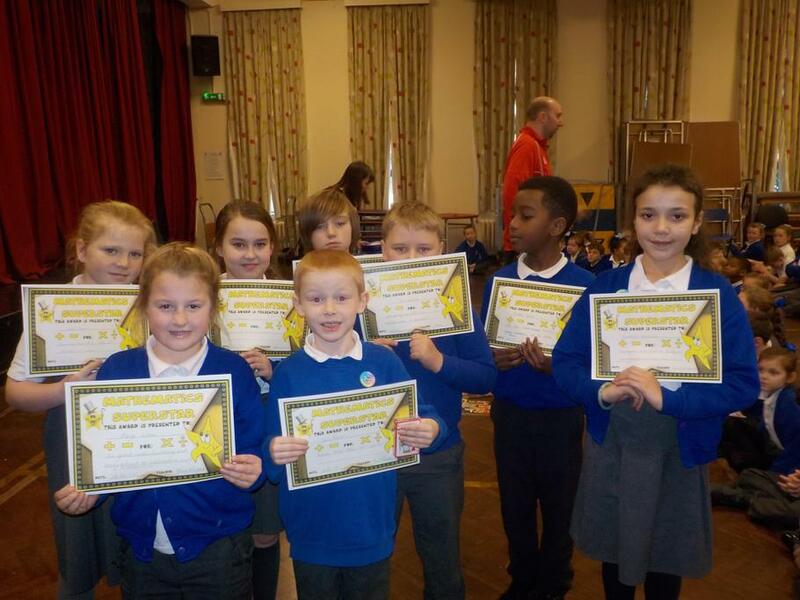 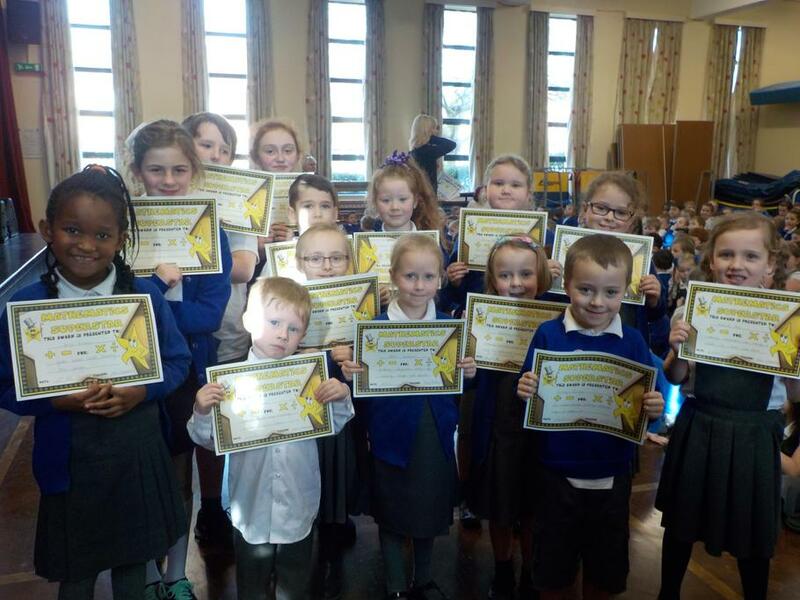 These certificates can be awarded for anything the child has done in maths, whether it is an exceptional piece of work, a fantastic attitude towards maths, continuing their maths learning at home, showing how they have used maths outside of a maths lesson or for making great progress in maths lessons. 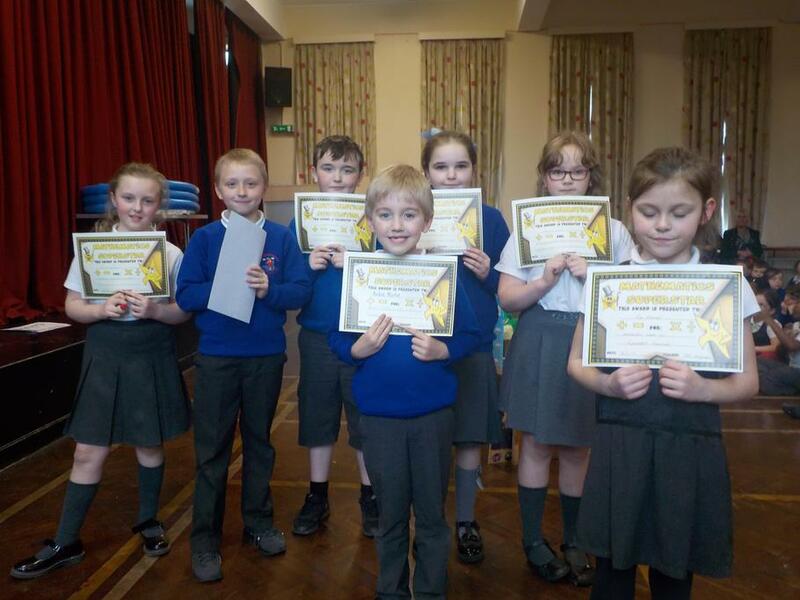 Not only do the children receive a certificate, their name also goes into the weekly draw and the child whose name is pulled out gets to choose a maths prize. 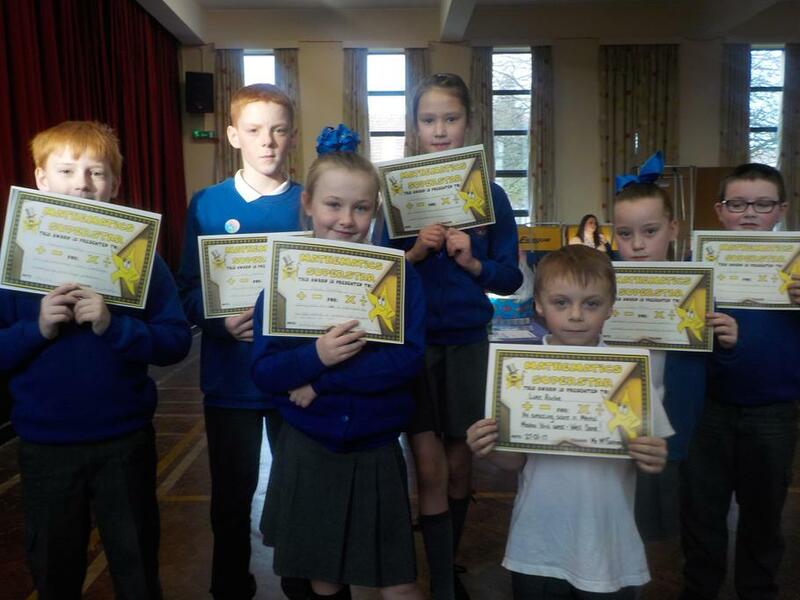 In addition, the winners each week have their photographs taken and these are displayed on our maths award display in the corridor. 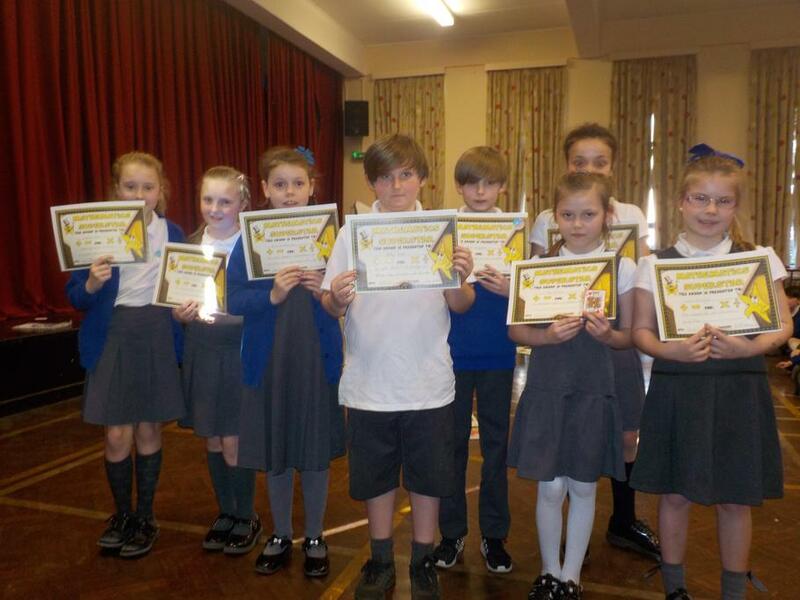 Well done to all of our winners so far and keep up the fantastic work, we are very proud of you all!